For a fuss-free look that will make sure you're looking the part, look no further, this jumpsuit has got you covered. 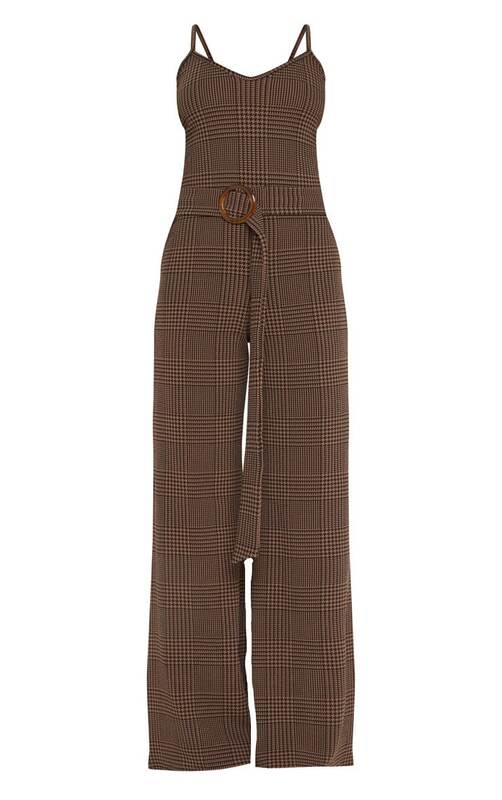 Featuring a brown check material with a tortoiseshell belt and a wide leg fit, it's perfect for every occasion. Style this with some pointed boots and complete the look with a pair of drop earrings.